Kratom Tea Bags - Making It At Home For Full-Fledged Benefits. Tea is the most popular drink in the world next to the water. There are different types of tea with endless variations and flavors. What makes it appealing is the health benefit and its versatility. Among the many kinds of tea used all over the world, Kratom tea is most popular in many regions. Its popularity is associated with many properties it possesses. Recently, disorders like anxiety, depressions, chronic pain, fatigue, and others are increasing. 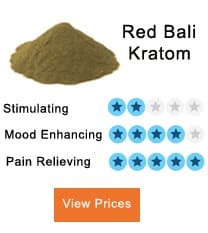 For that reason, people are looking for natural ways to ease the symptoms — kratom in one of the natural alternatives to using for such disorders. Everything you need to know about kratom tea making at home is discussed in this article. 2 There is four common kratom dosage popularly used. The number of kratom tea users have increased abruptly. However, many people buy kratom powder, and they do not know how to use it. 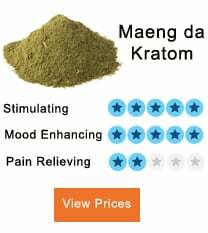 The effects of taking kratom to depend on the dosage taken, and these effects can be calming, pain relieving, energizing or sedating. The leaves of kratom form where the powder is extracted contain alkaloids. They act on your brain and the nervous system creating these effects. These and other effects are some of the reason which people love consuming kratom tea. Since our body structure is different, everyone requires the correct dosage to achieve the effects. Starting with low dosage is the best approach to see how the body will react. Consequently, you may increase the dosage until the desired effects are achieved. Effects associated with kratom usually kick in 10-15 minutes after consumption and they can last for two hours. There is four common kratom dosage popularly used. 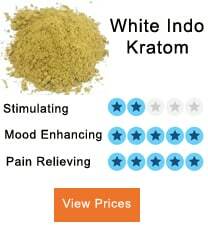 A starting dose which includes 1-3 grams of kratom powder. This dosage is the best recommendation for starters. A low kratom dosage has 2-4 grams. The dosage provides energizing and stimulating effects. 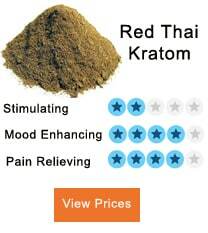 Moderate dosage has 4-5 grams of kratom powder. 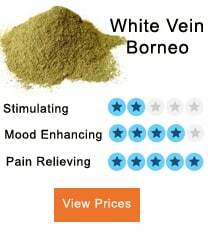 The dose is powerful, and it provides stimulating and pain-relieving effects. High dose has 4-8 grams of the powder. Sedating properties are achieved from this dosage. With this dosage, effects can last for up to eight hours. There are different ways of making kratom tea bags at home. But just like any other type of tea preparation, the basic and easiest way to prepare a kratom tea is through brewing the powder directly in hot water. The procedure involves you pouring one or two cups of water into a saucepan. Add the powder when the water starts boiling then stir to prevent the powder for clumping. Lower the heat and let the water to simmer for about 15-20 minutes. Allowing the water to simmer for a long time like 30 minutes is still okay as the alkaloids in the tea can endure the heat. Finally, remove your tea and pour into a mug through a strain to get rid of any residual powder. For those people who prefer using teabags in making tea over brewing, kratom tea can be prepared using these kinds of bags. Empty teabags can be bought from the market or through emptying the one you have at home. Fill the empty bags with kratom dose. This method of making the teabag is the time a bit complicated compared to the use of empty bags. The method requires one to have a coffee filter, baker’s string, and stapler. To begin with, cut the coffee filter into a large rectangle and the place the dosage in the middle. The filter should hold all the desired powder. Proceed to fold the sides of the rectangle over into the middle. This should allow you to set a finger in the center to fold up the two sides into each other. Then fold the top down and put a piece of baker’s string on top. To make sure the bag is ready, staple the filter and string together. The essence of baker’s string is to help in inserting and removing the kratom tea bags from the water. You can make a kratom teabags at home using muslin or cheesecloth. The procedure is almost like that of coffee filters. To begin with, the procedure, cut the cheesecloth into a square large enough to hold the powder. Proceed by placing your dose powder in the center and bring the corners together. Finally, twist the top and tie it with a piece of baker’s twine. The tea infuser is the easiest method of making kratom tea at home. The only items required is an infuser, empty tea bags and the powder. Unfold a teabag or two and use them to cover the inside of the infuser. As an alternative solution, muslins or cheesecloth may be used instead of the teabag. When the infuser is the well-covered place, the powder inside then uses it normally. Despite using teabags and direct brewing are common methods in making kratom tea, they are other methods to consume the powder. Toss and wash method is a popular way of consuming kratom powder. It Is an easy, direct method which requires placing the dose in the mouth and wash it down with water. Kratom capsules is also another way of consumption. In some occasions, people opt to mix the powder with sweet food to get rid of the bitter taste. Even though kratom is considered a lifesaver due to its properties, there are few side effects associated with its use. Most of the side effects result from a large dosage, combining with different strains or taking the tea on an empty stomach. However, since every person is different, the side effects vary depending on the individual. The common side effects include constipation due to reduced movement of intestinal tracts, nausea, dizziness, migraine, eye wobble, and libido loss. To some extreme situations, excessive dehydration and constipation may result in hemorrhoids. Kratom tea can have a bitter taste for some people. Therefore, during the preparation process, you may include some more ingredients. Using ingredients such as honey, sugar or artificial sweetener will help in making the tea taste sweet. 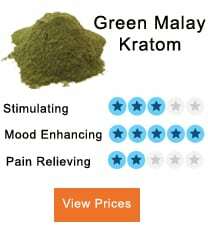 In terms of effects, kratom has many positive effects compared to the negative ones. Similarly, the methods of making teabags at home are simple.